A fridge staple and a “must have” addition to dips, spreads, sandwiches and toppings. Good tasting mayo. Pricey for the amount you get. Gave it 1/5 for their effort. 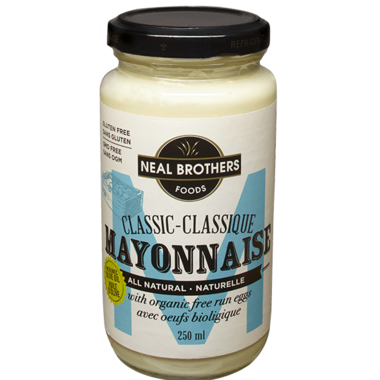 It's not easy to make a good quality natural mayo. Leaves a terrible taste for hours. Am vegetarian & taste buds are used to real food. Am throwing it out sadly, would not give it away. Do not understand how the other reviewers liked it???? Love this mayo! Great taste and consistency. Have added this one to my Neal Brothers favs! Really tasty on wraps etc.... Much healthier version and very reasonable, will definitely be buying again. Love this mayo! Made with olive oil instead of the traditional canola, healthier! And the taste of the olive oil isn't over powering. 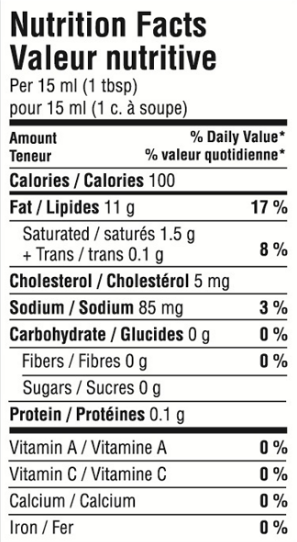 I will continue to buy this product from well.ca!